When To Contact A Nursing Home Attorney? In situations where there has been a specific incident involving a serious injury or abuse, the nursing home resident themselves or their family will seek out the advice of a nursing home attorney for representation. The majority of nursing home neglect cases are far more subtle and many people are hesitant to seek out an attorney. The best rule of thumb is to trust your instinct. If something doesn’t seem right–it’s probably not. Because most cases of nursing home neglect involve ongoing mistreatment, it is important to contact an attorney when you begin to suspect the nursing home may be treating your loved one improperly. Pay attention to the physical signs. Most elderly are hesitant to report situations involving nursing home abuse or neglect and may be scared to confront the people responsible for providing their care. Patterns of injury should not be tolerated. Repeated falls, bruising, cuts or infection deserve to to investigated as they are easily preventable situations that are indicative of staffing problems at a facility. Statute of limitations, or specific time allotments, govern how much time one has to bring a lawsuit against the nursing home or long-term care facility. Statute of limitations may provide years for pursuing a cause of action. However, the sooner an attorney is contacted, the sooner an investigation can be started to determine what may have caused the injury or abuse. Many cases involving nursing home abuse, neglect or injury require the review of extensive medical records and expert witness consultation–time consuming practices to say the least. Even in situations where there may seem to be a lack of evidence to prove neglect on the part of the nursing home, an experienced nursing home attorney will be able to sort through the evidence and determine if there is a case and how to proceed. Most nursing home attorneys work on a contingency fee, meaning they only receive a fee if they are successful in obtaining compensation for the injured party. No out of pocket expenses are required on behalf of the client. There has been a recent trend, in some situations involving severe injury, where the nursing home or hospital may seem to take responsibility for an injury. Representations may be made by the staff at these facilities that they will ‘do whats right’ to remedy the situation. Don’t be lulled into believing this song. Rarely –if ever — do these individuals really have the interests of the injured party in mind. Moreover, without the consult of an attorney well versed in what damages an injured person is entitled to receive, the nursing home or hospital will use its uneven bargaining position in its favor. 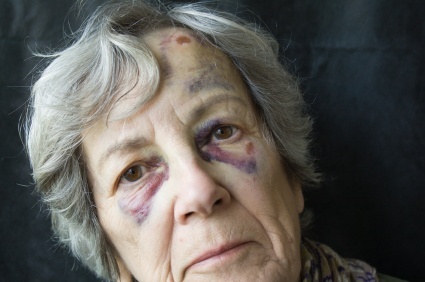 If you or a loved one suspect the nursing home, long-term care facility, home nurse or hospital may have caused or contributed to an injury or situation involving abuse, why not speak to an attorney who has your interests in mind without any charge to you?